For the results of January’s rapid chess evening of Juniors V’s Seniors .. click here. And for Schools and children interested in starting chess here’s a video.. youtube with details of an exciting new Schools chess competition. The competition is free to enter. Many of our young Galway players are leading the qualifying at the moment. We’d like to challenge players form other counties to make things interesting ! 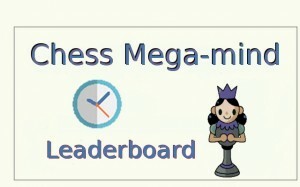 The top 40 on the mega-mind leaderboard will play at the Chess Mega-minds finals (on March 23rd, 2015 ). Try it out yourself at www.chessossity.com !